In the late 1930s, the United States used over half of the world's natural rubber supply. Today, natural rubber can be found in over 50,000 manufactured products in the United States, and the U.S. imports over 3 billion pounds of natural rubber each year. Over 70 percent of rubber used in modern manufacturing processes, however, is synthetic rubber. Natural rubber begins as latex. Latex consists of the polymer called polyisoprene suspended in water. Long-chain molecules composed of many (poly) individual units (mers) connected together form polymers. Rubber is a special form of polymer called an elastomer, meaning that the polymer molecules stretch and flex. More than 2,500 plants produce latex, a milk-like sap-type material. Milkweed might be most familiar latex-producing plant to many people, but commercial latex comes from a single tropical tree, Hevea brasiliensis. As the name suggests, the rubber tree originated in tropical South America. Over 3,000 years ago, Mesoamerican civilizations mixed latex with morning glory juice to create rubber. Changing the ratio of latex to morning glory juice changed the properties of the rubber. From bouncy balls to rubber sandals, the Mesoamericans knew and used rubber. Before 1900, most natural rubber came from wild trees in Brazil. As the 20th century began, supply and demand outpaced production with the increasing popularity of bicycles and automobiles. Seeds smuggled out of Brazil led to rubber tree plantations in southeast Asia. By the 1930s, natural rubber uses ranged from tires on vehicles and aircraft to the 32 pounds found in a soldier's footwear, clothing and equipment. By then, most of the U.S. rubber supply came from southeast Asia, but World War II cut off the U.S. from the majority of its supply. The natural rubber manufacturing process begins with harvesting latex from rubber trees. Harvesting latex from rubber trees starts with scoring or cutting into the bark of the tree. Latex flows into a cup attached to the bottom of the cut in the tree. The latex material from many trees is accumulated in large tanks. The most common method of extracting the rubber from latex uses coagulation, a process that curdles or thickens the polyisoprene into a mass. This process is accomplished by adding an acid such as formic acid to the latex. The coagulation process takes about 12 hours. Water is squeezed out of the coagulum of rubber using a series of rollers. The resulting thin sheets, about 1/8 inch thick, are dried over wooden racks in smokehouses. The drying process generally requires several days. The resulting dark-brown rubber, now called ribbed smoke sheet, is folded into bales for shipping to the processor. Not all rubber is smoked, however. Rubber dried using hot air rather than smoking is called an air-dried sheet. This process results in a better grade of rubber. An even higher quality rubber called pale crepe rubber requires two coagulation steps followed by air-drying. Several different types of synthetic rubber have been developed over the years. All result from polymerization (linking) of molecules. A process called addition polymerization strings together molecules into long chains. Another process, called condensation polymerization, eliminates a portion of the molecule as molecules are linked together. 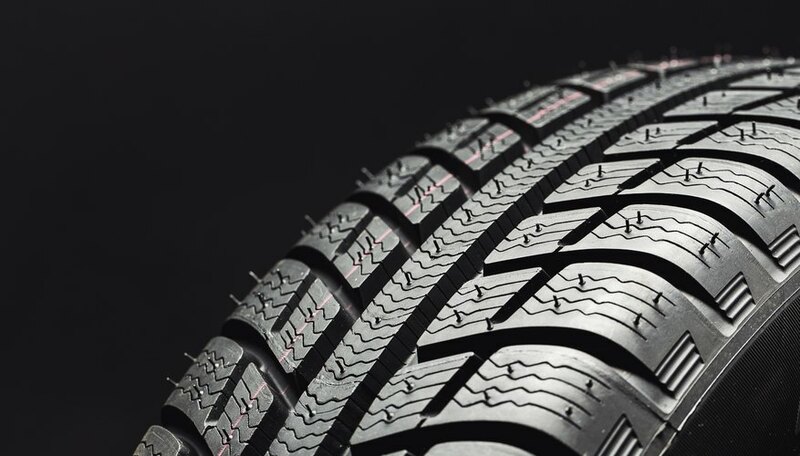 Examples of addition polymers include synthetic rubbers made from polychloroprene (neoprene rubber), an oil- and gasoline-resistant rubber, and styrene butadiene rubber (SBR), used for the non-bounce rubber in tires. The first serious search for synthetic rubber began in Germany during World War I. British blockades prevented Germany from receiving natural rubber. German chemists developed a polymer from 3-methylisoprene (2,3-dimethyl-1,3-butadiene) units, [CH2=C(CH3)C(CH3)=CH2], from acetone. Although this substitute, methyl rubber, was inferior to natural rubber, Germany manufactured 15 tons per month by the end of WWI. Continued research led to better-quality synthetic rubbers. The most common type of synthetic rubber currently in use, Buna S (styrene butadiene rubber or SBR), was developed in 1929 by the German company I.G. Farben. In 1955, American chemist Samuel Emmett Horne, Jr. developed a polymer of 98 percent cis-1,4-polyisoprene that behaves like natural rubber. This substance combined with SBR has been used for tires since 1961. Rubber, whether natural or synthetic, arrives at processor (fabricator) plants in large bales. Once the rubber arrives at the factory, processing goes through four steps: compounding, mixing, shaping and vulcanizing. The rubber compounding formulation and method depends on the intended outcome of the rubber fabrication process. Compounding adds chemicals and other additives to customize the rubber for the intended use. Natural rubber changes with temperature, becoming brittle with cold and a sticky, gooey mess with heat. Chemicals added during compounding react with the rubber during the vulcanizing process to stabilize the rubber polymers. Additional additives may include reinforcing fillers to enhance the properties of the rubber or non-reinforcing fillers to extend the rubber, which reduces the cost. The kind of filler used depends on the final product. The most commonly used reinforcing filler is carbon black, derived from soot. Carbon black increases rubber's tensile strength and resistance to abrasion and tearing. Carbon black also improves rubber's resistance to ultraviolet degradation. Most rubber products are black because of the carbon black filler. Depending on the planned use of the rubber, other additives used could include anhydrous aluminum silicates as reinforcing fillers, other polymers, recycled rubber (usually less than 10 percent), fatigue-reducing compounds, antioxidants, ozone-resisting chemicals, coloring pigments, plasticizers, softening oils and mold-release compounds. The additives must be thoroughly mixed into the rubber. The high viscosity (resistance to flow) of the rubber makes mixing difficult to accomplish without raising the temperature of the rubber high enough (up to 300 degrees Fahrenheit) to cause vulcanization. To prevent premature vulcanization, the mixing usually takes place in two stages. During the first stage, additives like carbon black are mixed into the rubber. This mixture is referred to as a masterbatch. Once the rubber has cooled, the chemicals for vulcanization are added and mixed into the rubber. Shaping rubber products occurs using four general techniques: extrusion, calendering, coating or molding, and casting. More than one shaping technique may be used, depending on the final product. Extrusion consists of forcing highly plastic rubber through a series of screw extruders. Calendering passes the rubber through a series of increasingly smaller gaps between rollers. The roller-die process combines extrusion and calendering, producing a better product than either individual process. Coating uses the calendering process to apply a coat of rubber or to force rubber into fabric or other material. Tires, waterproof cloth tents and raincoats, conveyor belts as well as inflatable rafts are made by coating materials with rubber. Rubber products like shoe soles and heels, gaskets, seals, suction cups and bottle stops are cast using molds. Molding is also a step in making tires. The three primary methods of molding rubber are compression molding (used in making tires among other products), transfer molding and injection molding. Vulcanization of the rubber occurs during the molding process rather than as a separate step. Vulcanization completes the rubber-production process. Vulcanization creates the cross-connections between the polymers of rubber, and the process varies depending on the requirements of the final rubber product. Fewer cross-connections between the rubber polymers creates a softer, more pliable rubber. Increasing the number of cross-connections decreases the elasticity of the rubber, resulting in harder rubber. 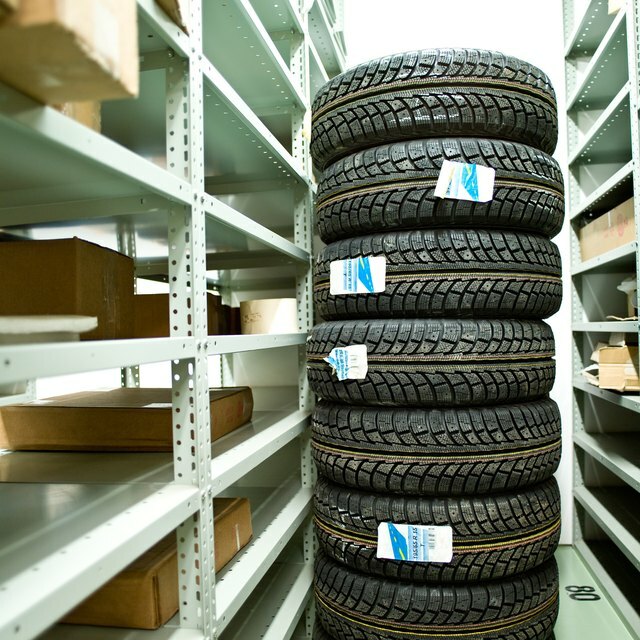 Without vulcanization, rubber would remain sticky when hot and brittle when cold, and it would rot much more quickly. Vulcanization, originally discovered in 1839 by Charles Goodyear, required adding sulfur to rubber and heating the mixture to 280 F for about five hours. Modern vulcanization, in general, uses smaller amounts of sulfur combined with other chemicals to reduce the heating time to 15 to 20 minutes. Alternate vulcanization techniques have been developed that don't use sulfur. National Geographic: Aztec, Maya Were Rubber-Making Masters? G, Karen. "The Manufacturing Process of Rubber." Sciencing, https://sciencing.com/manufacturing-process-rubber-5206099.html. 15 December 2018.